A celebration of life for Marshall K. Sauceda, the former director of multicultural affairs for the UO, will be held Saturday, Feb. 7, at 11:30 a.m. in the Many Nations Longhouse. Sauceda died on Dec. 4 at the age of 60. He was diagnosed with a brain tumor and had surgery in April. He died of complications of the illness. He worked in the Office of Multicultural Affairs — now known as the Center for Multicultural Academic Excellence — from 1981 to 1997, where he served as director. He left the UO in 1997 to become associate vice president for student affairs at Loyola Marymount University in Los Angeles, California. 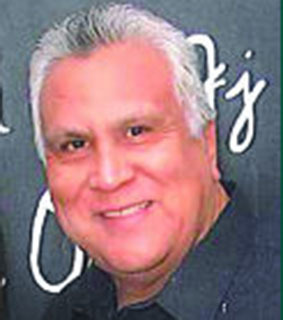 Sauceda received his bachelor’s degree in community service and public affairs, with an emphasis in public administration, from the University of Oregon in 1981. He earned a master’s degree in human resources and industrial relations, with a specialization in workforce diversity, from the UO in 1994. Marshall is survived by his wife Roxanne; two grown children, Melissa and Miguel; and three grand-children. For more information, contact Anselmo Villanueva at anselmo.villanueva@gmail.com.